First feature! Credit to cheepshot, who featured this. 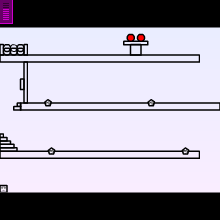 And btw, the loose blocks on the final level are a puzzle so you might get trapped and not get the coin.